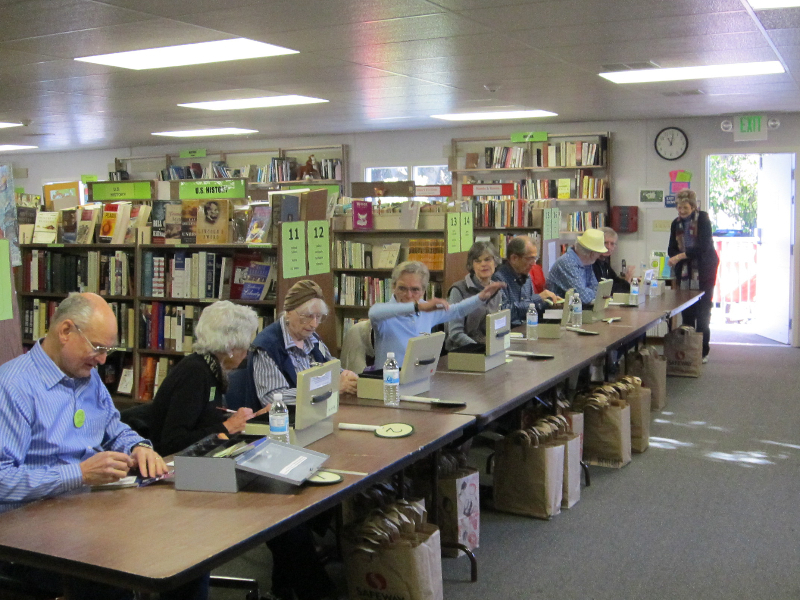 Won’t you consider contributing a few hours a week to help keep our five Palo Alto libraries up-to-date and thriving? 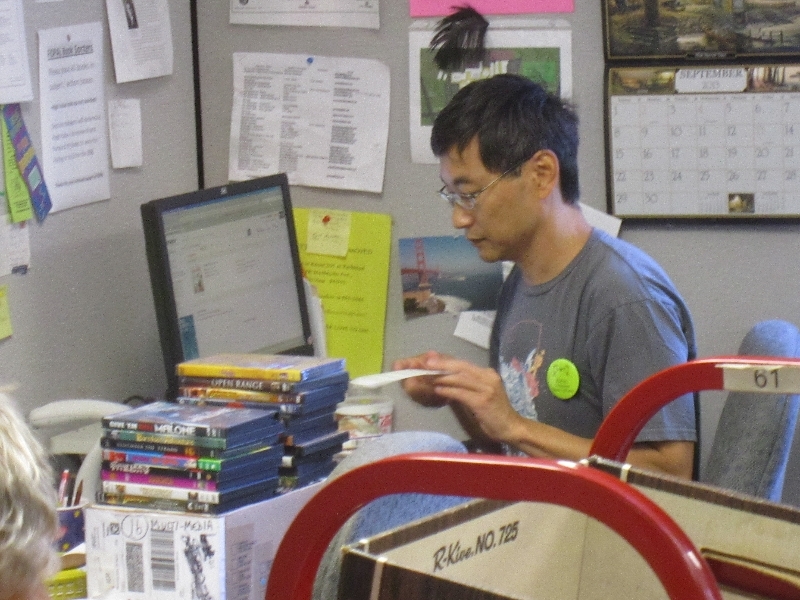 FOPAL’s monthly sales of donated books and media raise much-needed funds to purchase new books, furniture, technology, and special programs for Palo Alto public libraries. These sales happen through the efforts of many individuals just like you! Please join us. Below is a sample of the many jobs volunteers perform at FOPAL, plus their special benefits. The greatest benefit of all, of course, is the immense satisfaction you will feel from giving back to your community! 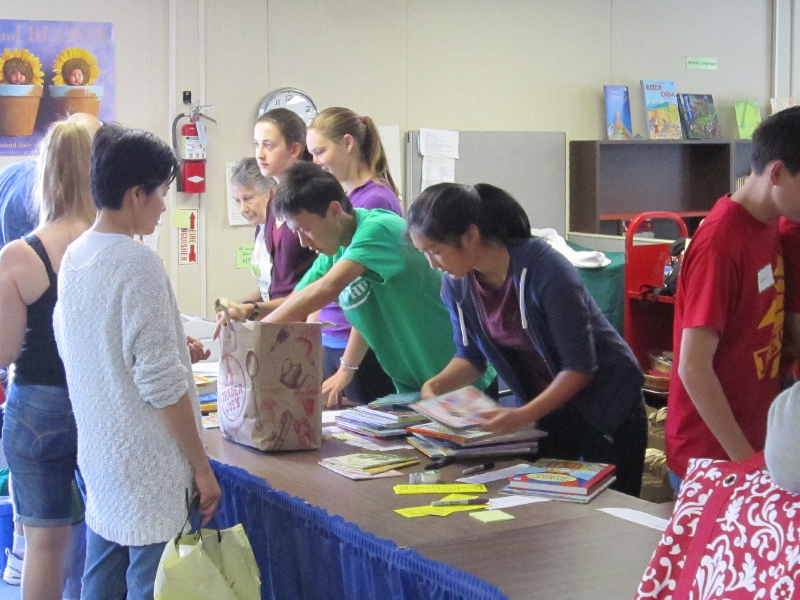 Pick up donations and move boxes of books among our three locations at Cubberley Community Center. Meet friendly donors, get free body-building exercise. 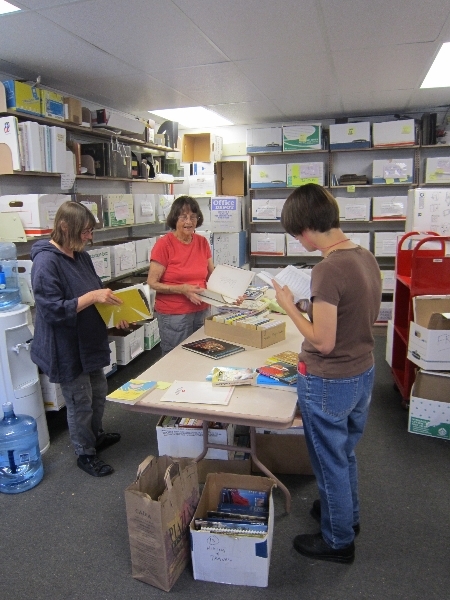 Sort new donations into subject categories Meet friendly fellow sorters and enjoy a first look at an amazing assortment of books. Manage specific subject areas, organizing and pricing books for our monthly sales. Share and expand your interests and knowledge. 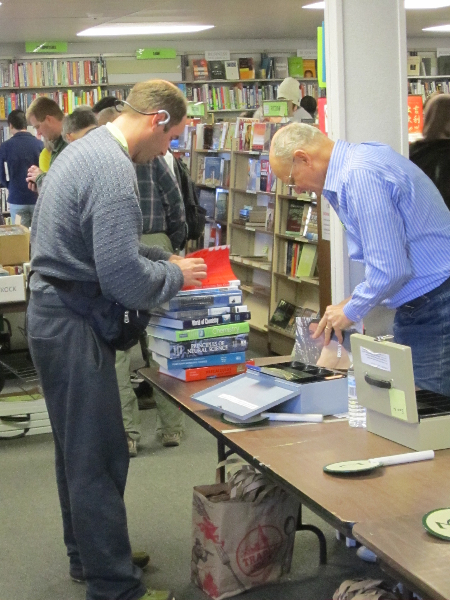 Help staff our monthly Book Sales, held on the 2nd Saturday and Sunday of every month – we need cashiers, floor supervisors, and donation monitors Meet hundreds of fellow bookaholics and experience the Thrill of the Marketplace! Love Children’s Literature? Sort and price children’s book donations. Work with a friendly group of volunteers in the Children’s Room each Tuesday afternoon, or work on your own schedule. See this recent feature story in the Palo Alto Weekly. 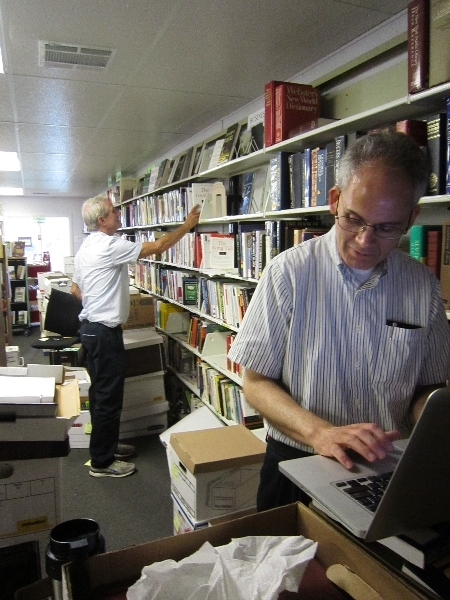 Work with our online sales team: research higher value books, list books online, fulfill/ship orders. Flex your mental muscles while participating in the world of e-commerce. Work on our website, newsletters, and other publicity/outreach projects. Exercise your urge to research, write, and communicate with your community. Assist our Sales and Volunteer Manager with various administrative/publicity projects. Apply your creative and organizational talents. Stock and staff our library branch bookshops at Downtown and Mitchell Park libraries. Meet and greet new people in our community. And many more jobs to suit your time, inclinations, and expertise. Your contribution will be greatly appreciated! Students needing to fulfill community service hours requirements for school are welcome to join us. Corporate groups or service organizations looking for one-time, or regularly scheduled work projects can help us as well. Come see what FOPAL is all about. We hold orientation sessions for new volunteers, or for those considering volunteering, twice a month on Thursdays at 3:30 pm at our Children’s Sales Room, or by special appointment. Please email Janette Herceg, FOPAL Sales and Volunteer Manager or call (650) 494-1266 for the upcoming dates. 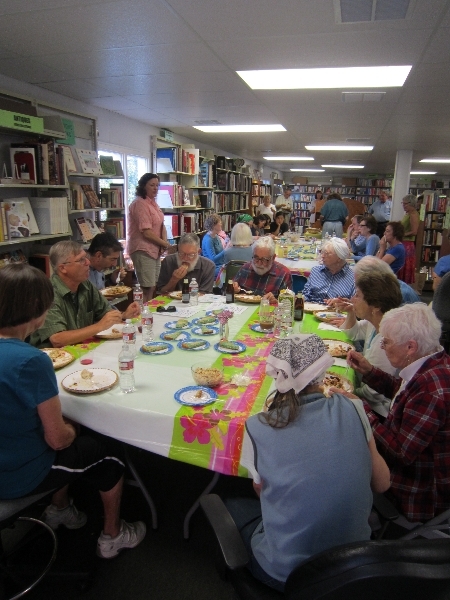 To learn more about how you can get involved with Friends of the Palo Alto Library, please call or email Janette Herceg, FOPAL Sales and Volunteer Manager at (650) 494-1266. Or, complete our Volunteer Interest Form and we’ll get back to you shortly!